Have you ever thought about visiting Malta by bus? This tiny Mediterranean island packs plenty of sights: Baroque and Medieval towns, stunning landscapes and prehistoric sights. Don’t believe those who say you need a car to get around – here we’ll show you how to navigate Malta public transport! Pretty much everywhere in Malta can be reached by bus. After the legendary yellow buses were retired in 2011, a fleet of modern vehicles run by British company Arriva were introduced to connect every single town, village and hamlet within the island. When we visited in 2014, buses in Malta were incredibly cheap – €1.50 for a day ticket, and €6.50 for a whole week. In 2016, prices increased considerably. A single ticket, valid for two hours, now costs €2 (can be bought from the driver). Night buses (N) and express lines (TD) cost €3 for a single journey, and are also valid for two hours. You can also buy 12-Journey Cards for €15, which can be used by more than one person, or a 7-Day Explore Card for €21. You can buy these from kiosks – you can find them at Valletta and Bugibba bus stations, Malta Airport, Sliema Ferries, Mater Dei Hospital, and the the Victoria bus station in Gozo. As you can see, bus fares may not be as dirt cheap as they once were, but they’re still fairly affordable compared to taxis or rental cars. The downside? Don’t expect buses to run every 5-10 minutes – more like every half an hour, or once an hour sometimes. So, arm yourself with a lot of patience – but remember that you might be waiting for the bus in front of stunning cliffs, or in a backstreet between potted plants and children playing football. Waiting may become half the fun! How about this view while you wait for your bus? Buses also stop frequently, and often take loopy, twisting roads – getting around takes time. The upside? You don’t have to rent a car (which is impossible if you don’t have a credit card) and drive in the notoriously terrible Maltese traffic. Remember, Malta is indeed a Mediterranean islands, but don’t expect it to be an idyllic paradise, at least not everywhere. It’s the second country is Europe for density of population, with nearly half a million people in only 315 square kilometers. In peak hour (7-9 in the morning, and 5-7 in the afternoon) expect traffic, and lots of it, especially between Valletta, Sliema, St Julian’s and St George Bay. For more info about public transport in Malta, check the official public transport site, or have a look at the map below. Generally speaking, the smaller the number, the quicker, more frequent and more reliable the bus will be. Lines starting with ‘X’ or ‘TD’ are ‘express’ – even though, in Maltese terms, that is relative too. Two-digit routes usually run every 15 mins or so, and three-digit routes run every half-hour or every hour. If you’re visiting Malta by public transport in shoulder season like we did, the best option is to stay either in Sliema/St Julians or Valletta. Both places offer plenty of hotels, apartment rentals and other accommodation options – let’s have a closer look. 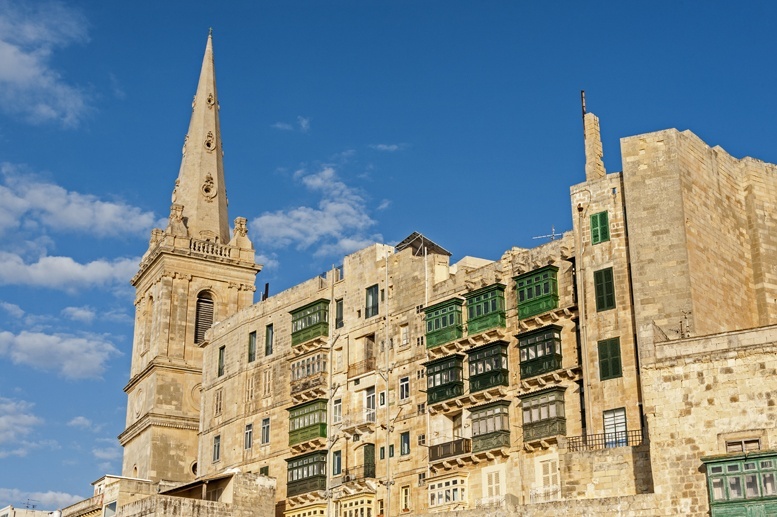 This is Malta’s capital, an exquisite Baroque town built in golden sandstone. It is one of the smallest capitals in the world, just over one kilometer long and 600 meters wide. 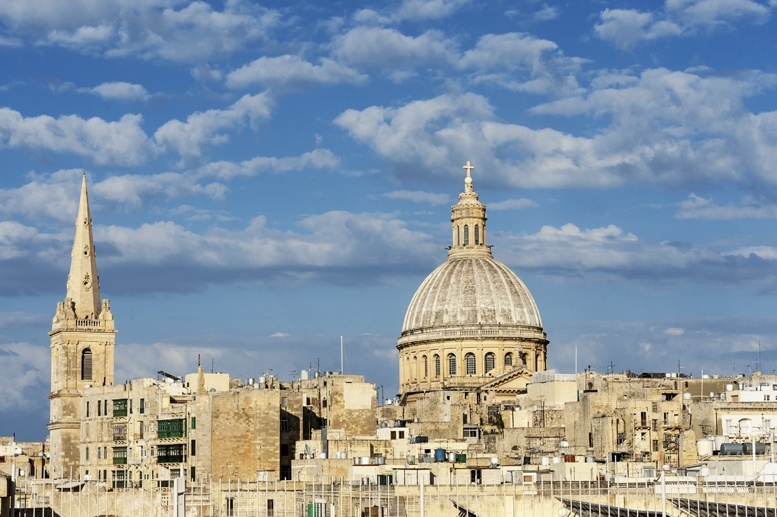 As the capital, Valletta is the most visited place in the island. Dozens of cruise ships dock every day and the historic center is overrun with tour groups and with Maltese working in offices and government buildings. One of the perks of staying in Valletta is having the town to yourself, after tourists and workers are gone. After sunset, the town is eerily quiet. You can walk in total solitude down the backstreets, surrounded by Baroque buildings and stunning churches, imagining the time when the knights ruled this town and Caravaggio produced some of his masterpieces. 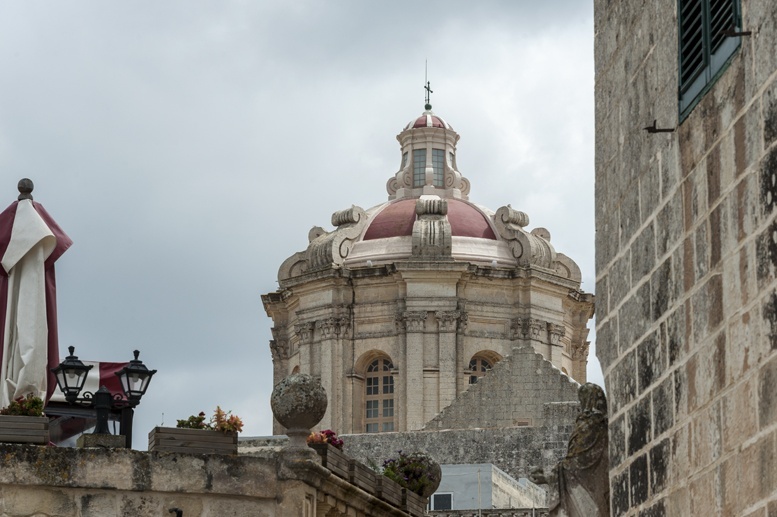 There are plenty of must-see sights in Valletta – one of my favourites was definitely St John’s Co-Cathedral, headquarters of the Knights for centuries. 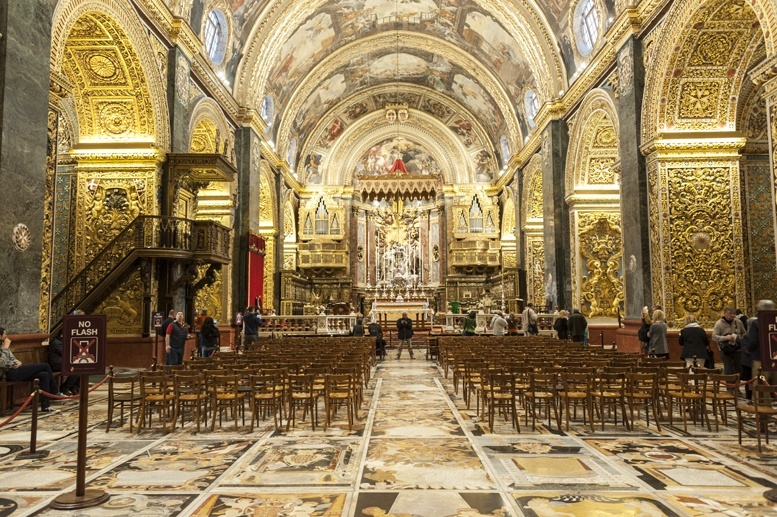 The Church looks plain and simple from the outside, almost fortress-like – but walk in and you’ll find gilded Baroque altars, drapes and two stunning Caravaggio paintings. 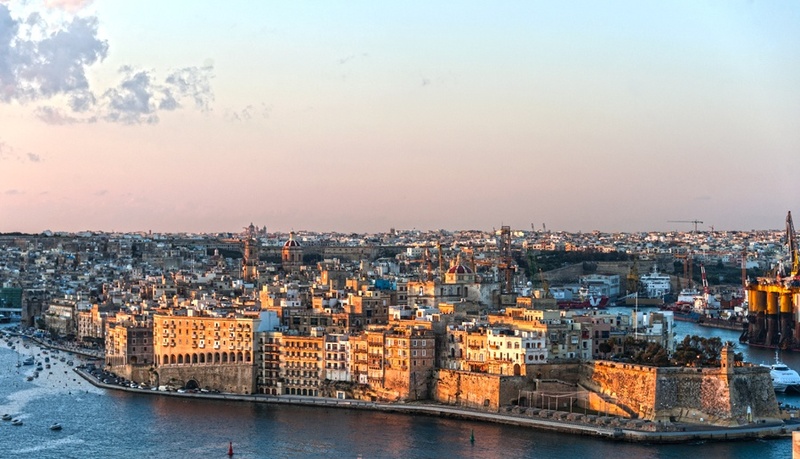 The best views over Valletta’s famous Grand Harbour can be seen from Upper Barakka Gardens, an ace sunset spot – just be warned, you won’t be alone. One of the best Valletta treats is staying in your very own Baroque palazzo – at surprisingly affordable prices. We spent two nights at Palazzo Prince d’Orange, a 17th century building transformed into boutique apartments. We had a HUGE kitchen with all mod-cons, a living room with a desk and couch (working or relaxing…. what did you think we chose?) 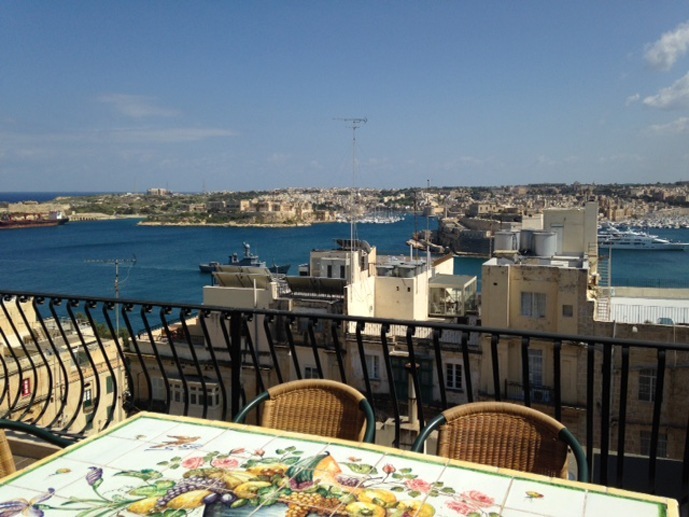 and… a balcony and roof-terrace with view over the Grand Harbour. Our jaw dropped when we first toured this stunning apartment. Every single room was tastefully decorated and the views were just to die for. How much will this cost, we thought? 300 euro a night? 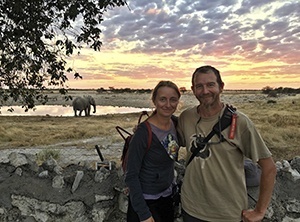 500 euro a night? 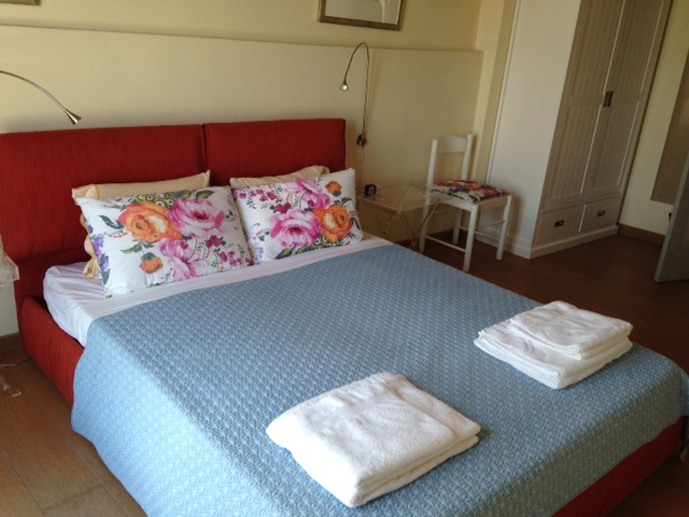 In fact, prices start at just €350 for 3 nights – less than €120 a night. And you get to wake up to THIS. Valletta to Malta Airport (Luqa) Bus: X4, 71 and 72, about 35 minutes. 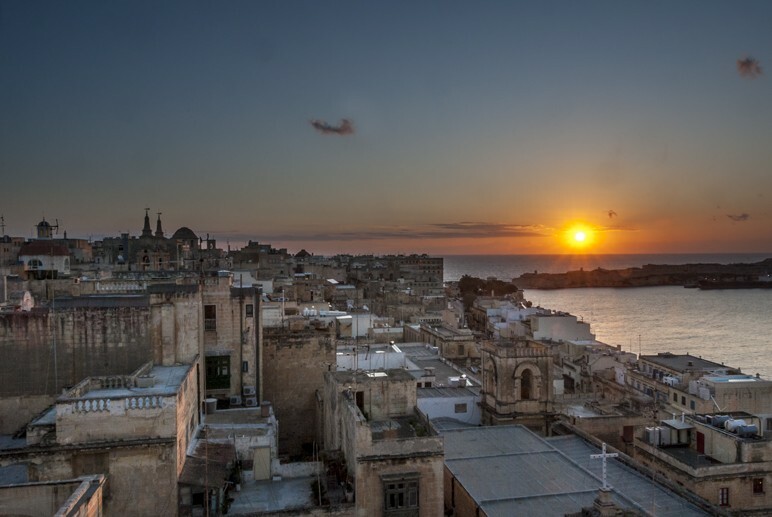 Located just north of Valletta, this is Malta’s hotel and nightlife central – as lively at night as Valletta is quiet. So take your pick, depending on what you like, or do like we did, and spend a few nights in each place. 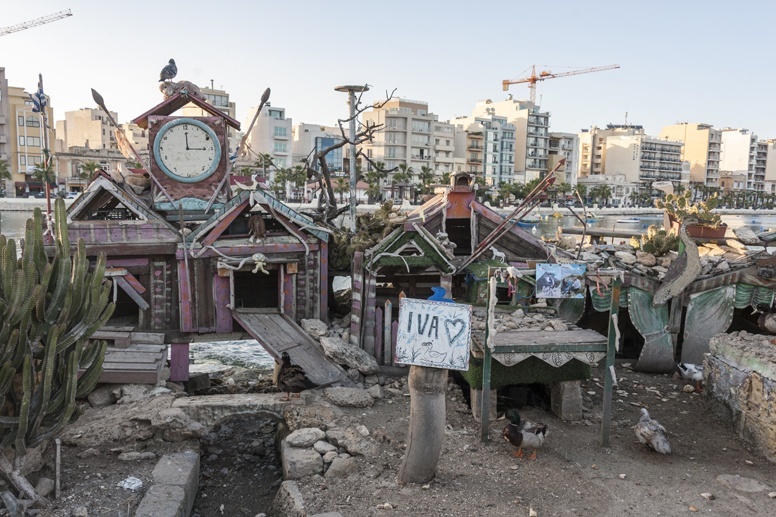 The towns of Sliema and St Julians are stuck to one another – it’s hard to say where one begins and the other one ends. The coast is definitely overbuilt, with lots of box-like ‘concrete monster’ hotels – but the seaside promenade is wonderful, overlooking the cliffs and turquoise, transparent sea, dotted with luzzu, the traditional colorful Maltese fishing boats. At night, you have plenty of choices for bars and restaurants – unlike Valletta where most places are open at lunchtime only. Just be warned: if your visiting in July and August this area is overrun with European teenagers on language holidays, meaning lots of parties, and potentially not much sleep. In this season, opt for the Sliema side, which is much quieter. Despite its apparently ‘ugly’ exterior, this area hides lots of worthwhile things to see. 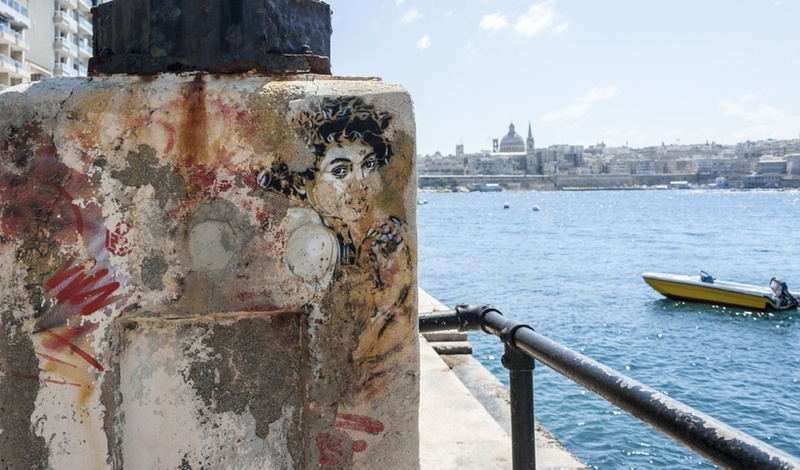 The seaside walk in Sliema, especially the stretch before Point Tigné, has lots of big and small street art pieces, even some by the famous French artist C215. Animal lovers will like ‘Cat Street’ in St Julian’s, near the Hotel Cavalieri in Spinola Bay, where locals leave food and take care of street cats, and ‘Duck Village’ at the beginning of the bridge to Manoel Island on the other side of the peninsula, a ramshackle collection of ‘duck houses’ where an eclectic animal colony of ducks, rabbits and cats live. 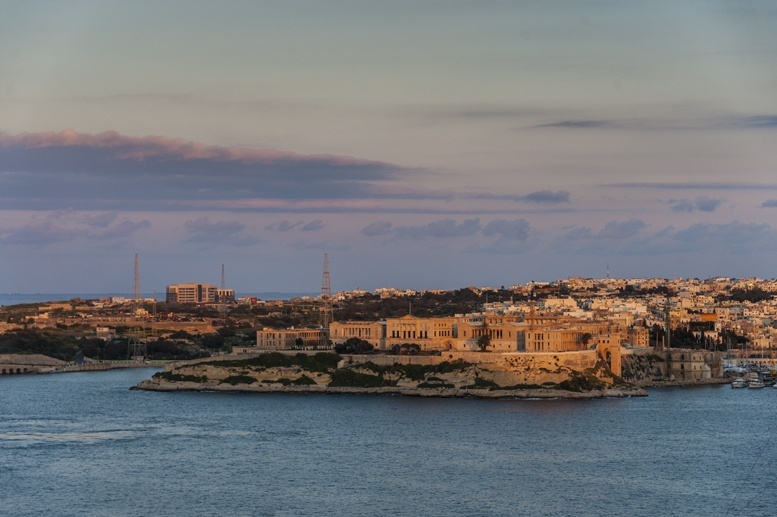 From Sliema, you also get a stunning view over Valletta, especially at sunset! 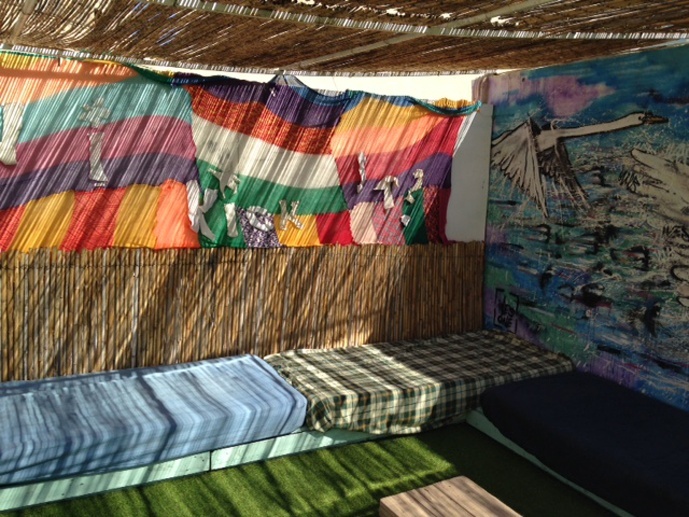 Our Sliema pad was Hostel Jones, one of the coolest and quirkiest places where we’ve had the chance of staying this year. Run by street art enthusiast Trev, Hostel Jones is covered in art in all places, from the roof-terrace to the first floor ‘chill-out zone’, and every room is individually decorated. 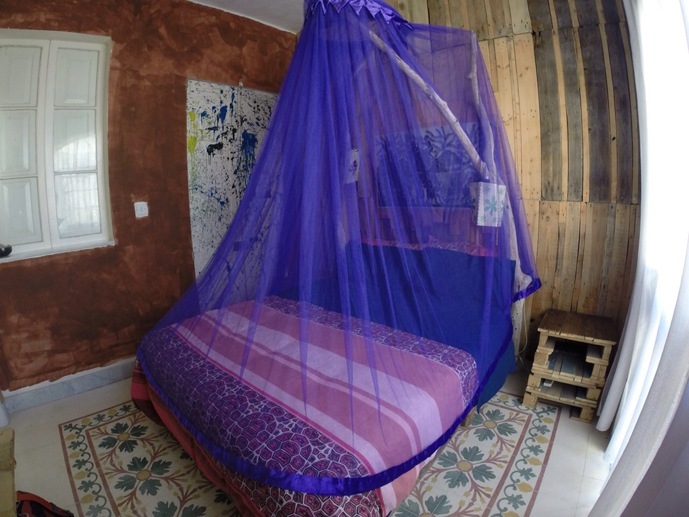 We stayed in the Lovers Room, where all furniture was made with recycled materials like pallets and driftwood, and decorated with sea urchins. Are you curious to know what ‘Jones’ means? Trev explained that it’s kind of a Maltese term for ‘dude’ or ‘mate’, but more of a term of endearment. Wanting to make all visitors feel like family, Trev adds ‘Jones’ as a surname for all visitors on dorms name cards and on the follow-up email you get after staying at the hotel. We loved the artistic and family feel at Hostel Jones – a truly amazing place to stay, and Trev is full of recommendations! 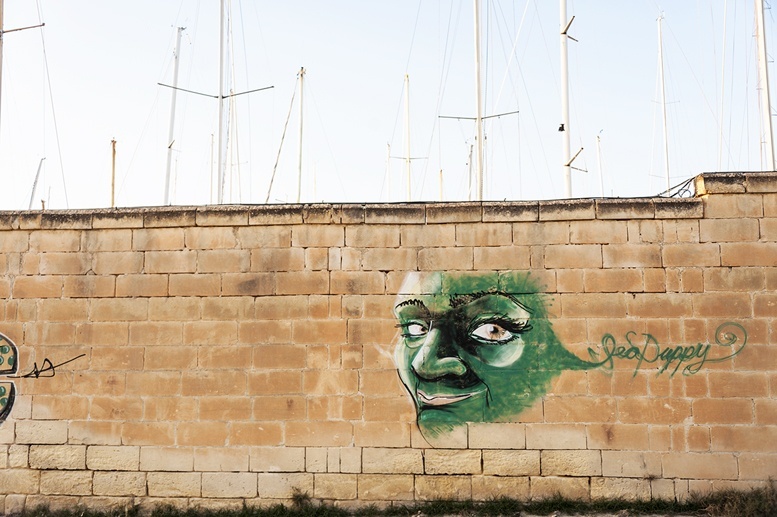 Street art in Sliema that Trev pointed us to! 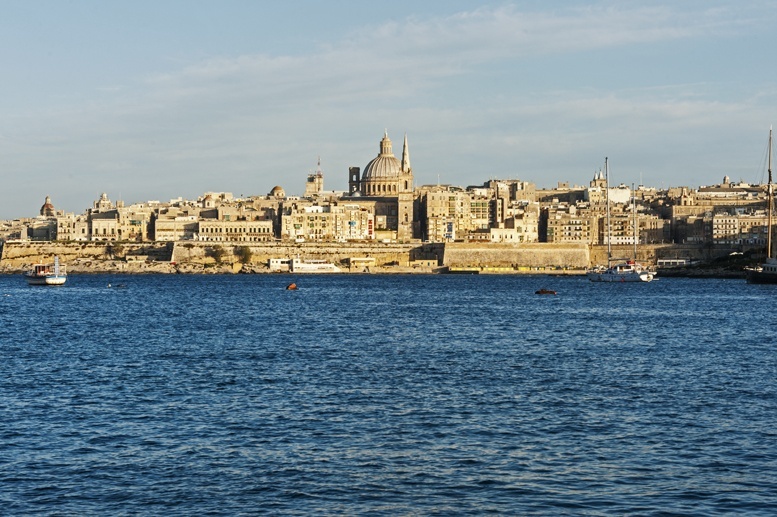 For a quicker an more scenic way to Valletta, opt for the ferry departing every half-hour ( €1.50 one way and €2.80 return. ), or check out the buses below! St Julian’s/Sliema to Malta Airport (Luqa) Bus: X2 or TD2, about 50 minutes. Mdina is Malta’s medieval jewel, a honey-coloured walled city high up on a hilltop, dominating the whole of the island. 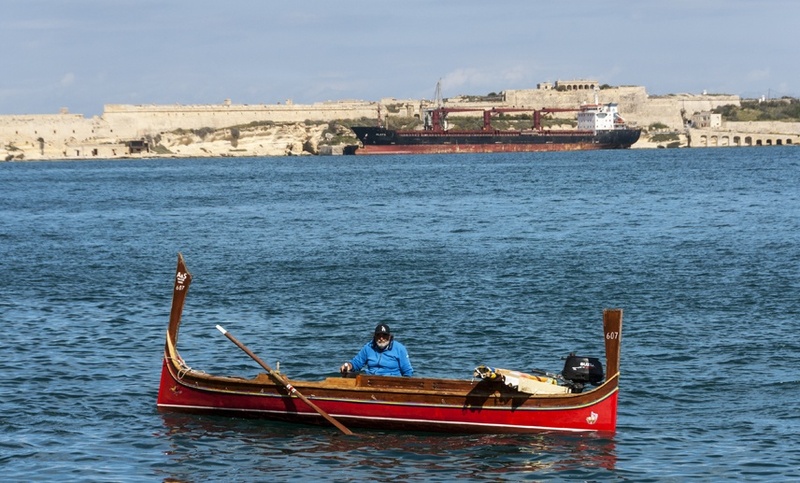 It has been inhabited for 4000 years and it was Malta’s capital until the arrival of the Knights, who moved it to Birgu first and to Valletta then. 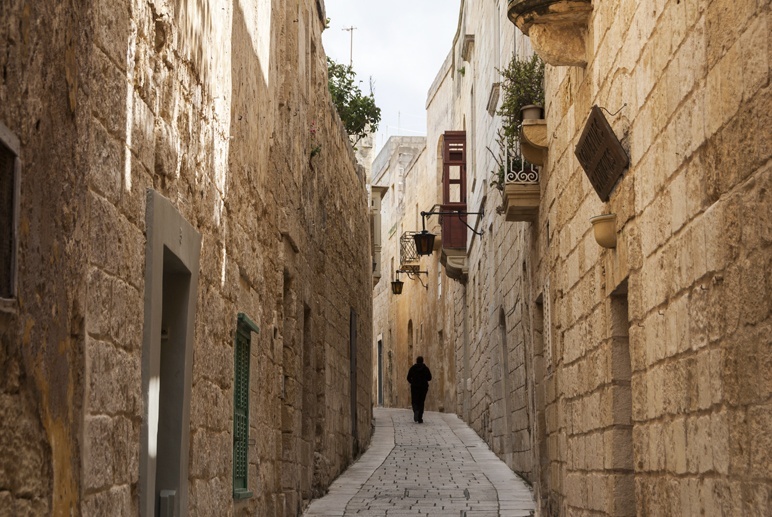 Nowadays, Mdina is nicknamed the ‘city of silence’, because it has only 400 residents and no cars are allowed. During the daytime it’s quite busy with tourists, but come evening and it offers its peaceful, picturesque best. 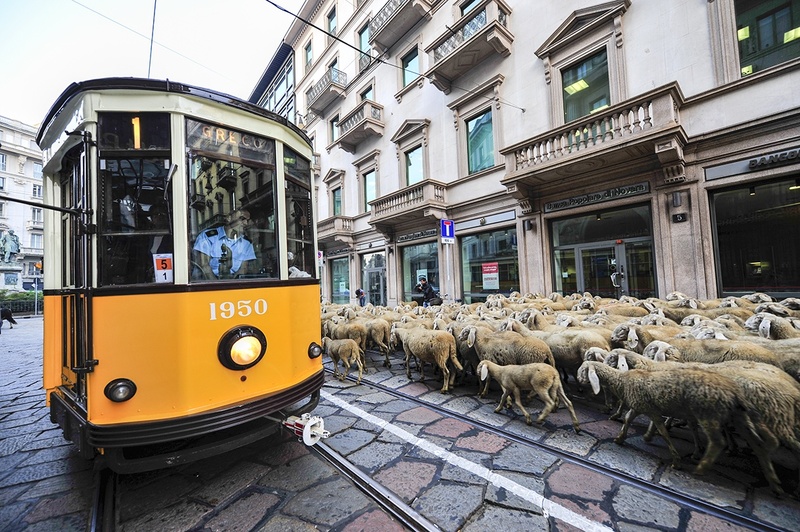 There are some sights, some palazzos and St Paul’s Cathedral, but half of the fun is just wandering around, touring the narrow streets and the city walls dominating the city – you won’t get lost as it’s tiny. Mdina is also a must-see for Game of Thrones fans – it was the location of Kings Landing in season 1. 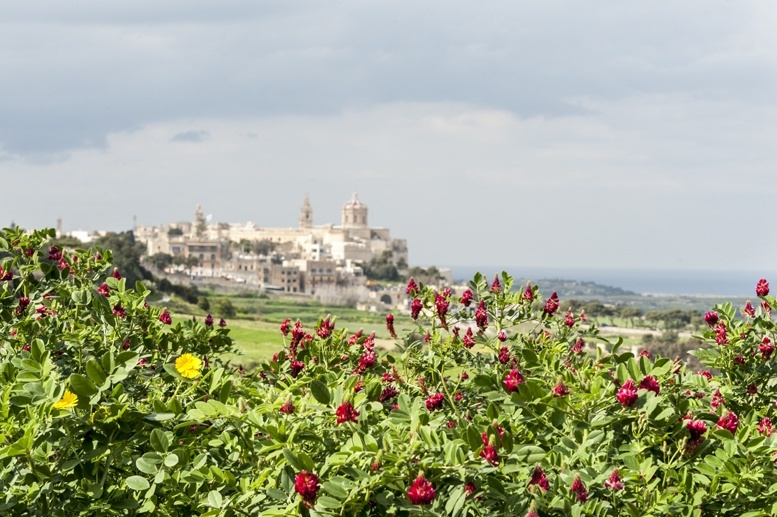 Mdina to Marsaxlokk Bus: this route requires three changes. 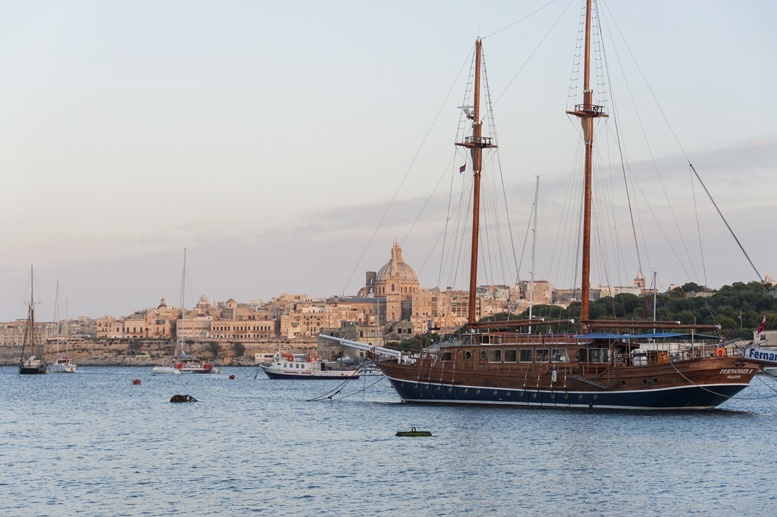 Break up your journey in Valletta or Sliema! You know, sometimes we like asking random people for advice. 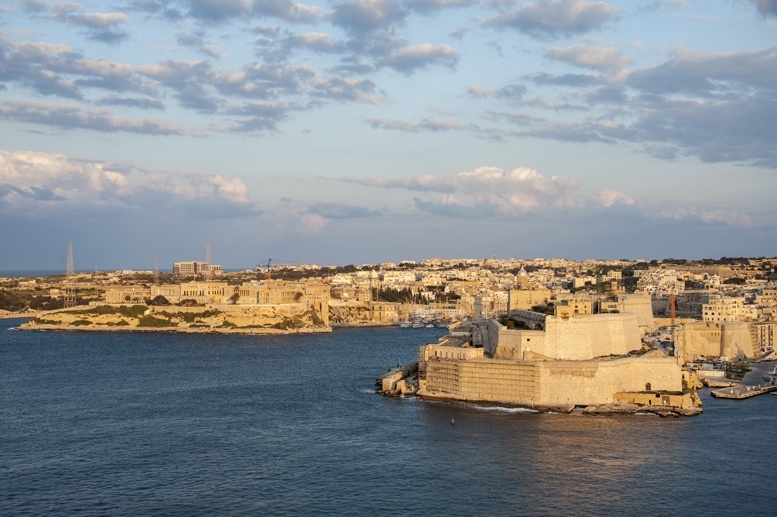 As nature lovers, we also wanted to visit some of Malta’s natural sights, and so we asked a Maltese family on the plane what their favourite natural sight in Malta was. 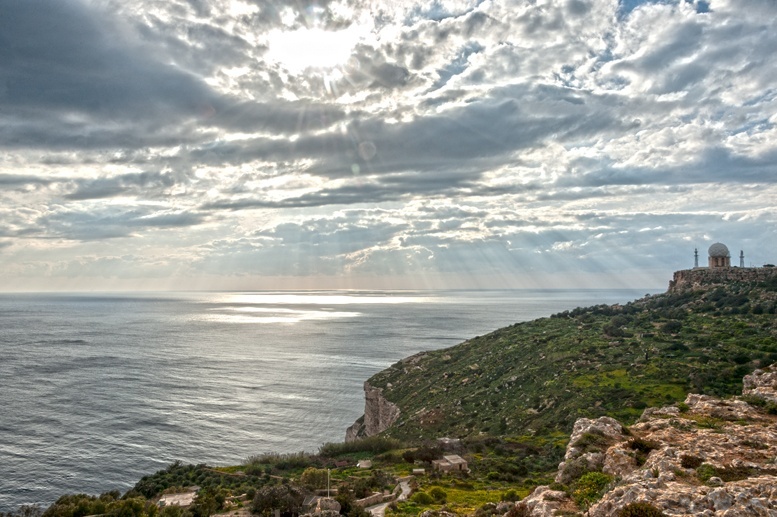 They recommended visiting ‘beautiful Dingli Cliffs’, on the south-western coast, where vertical copper-colored cliffs drop into the sea below. 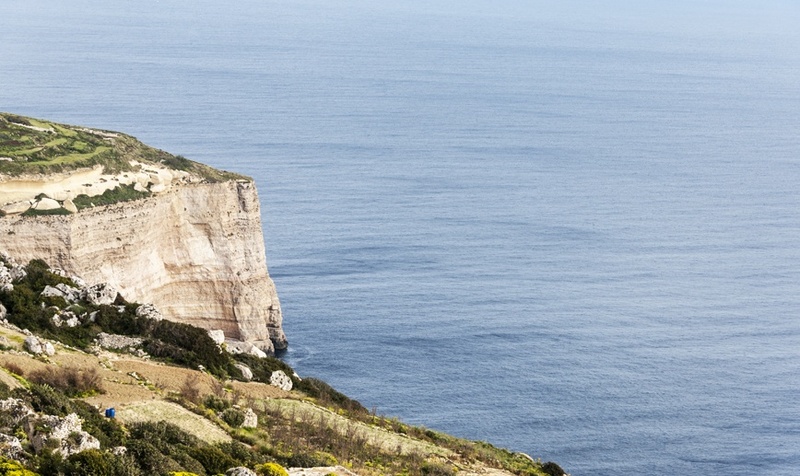 Dingli Cliffs is also the highest point in Malta at 253 meters above sea levels, offering a kind of natural fortification as the cliffs are too high to be climbed, and there’s no boat landing below. It’s a famous sunset spot – but it was incredibly windy when we visited, so we couldn’t wait for sunset. In any case, the wild, windswept coast was definitely worth a visit, even though you may find it tough to peer down the cliffs if you don’t like heights. From Mdina take bus number 52, 201 or 202, from Sliema/St Julian’s take bus number 202, from Valletta take bus number 52. 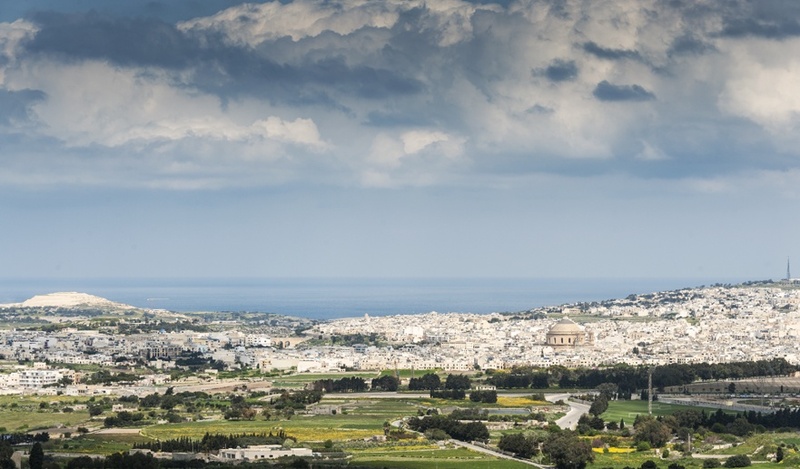 Another option is walking from Mdina to Dingli – it’s about 7 km following the roads. Enroute, we passed a mysterious building that we believed was a church, but was in fact a home, and Verdala Palace, Another GoT location – it was Illyrio’s mansion in Season 1. 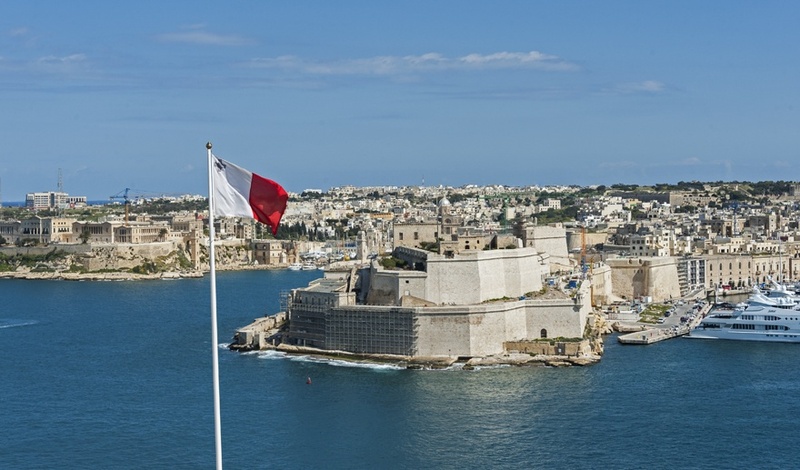 Just across the Great Harbour, Birgu (Vittoriosa), Isla (Senglea) and Bormla (Cospicua) are collectively known as the ‘Three Cities’. 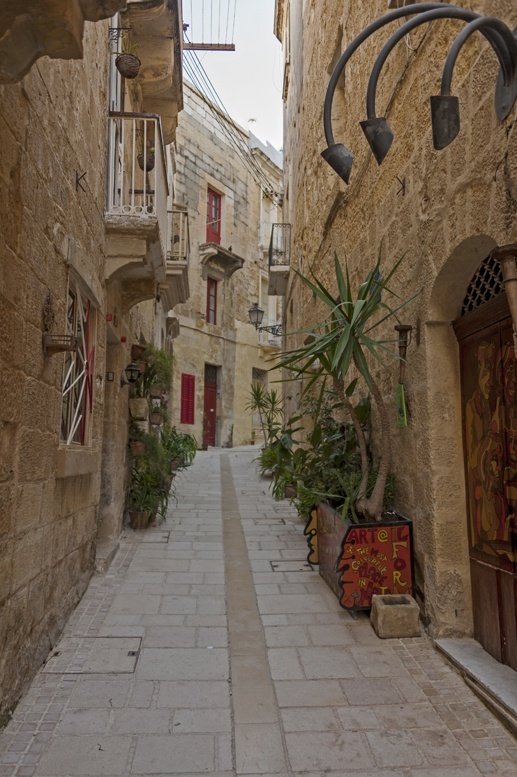 Birgu and Isla are a delight to walk around. If you start from Birgu’s waterfront, there’s a wonderful seaside promenade that takes you past knight-era forts and luxurious yachts. 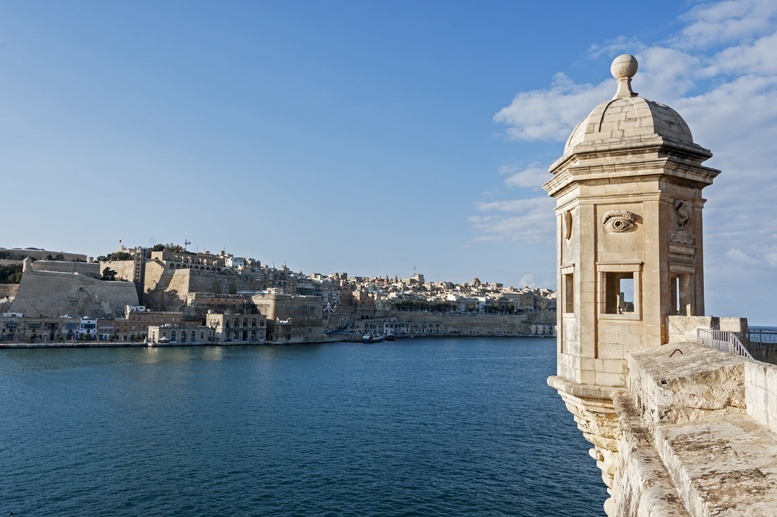 Then, climb the twisting streets of Isla all the way to Gardjola Gardens, where you’ll see the Gardjola Watchtower, one of Malta’s symbols, and a view over Valletta and the Grand Harbour that rivals the one from Barakka Gardens. 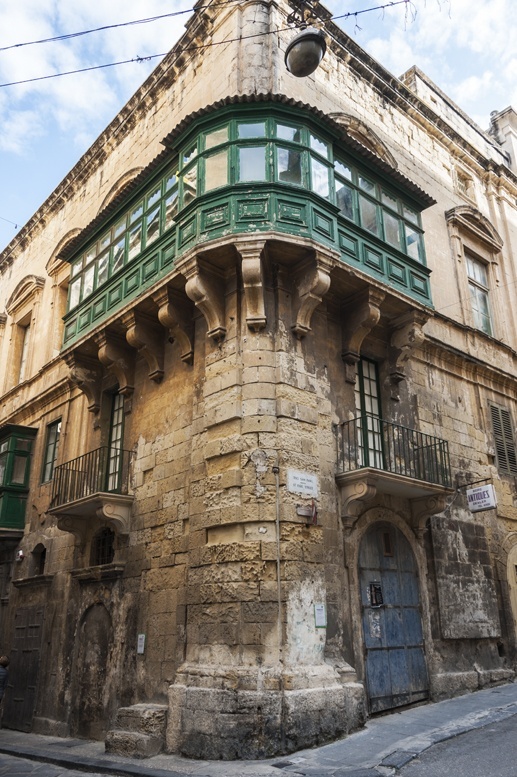 After that, head into the backstreets – the Three Cities are a quieter, less touristy version of Valletta, with the same stunning Baroque architecture but only a trickle of tourists. Wander around the atmospheric alleyways of Birgu, lined with potted plants, or sit down at one of Isla’s bars to chat with the locals. The cruise ship crowds will feel a world away. From Valletta take buses number 2 and X7 to Birgu and 1 to Isla. From Sliema and other destinations, change in Valletta first. You can also take a ferry to Birgu from the Grand Harbour in Valletta, which costs €1.50 one way and €2.80 return. 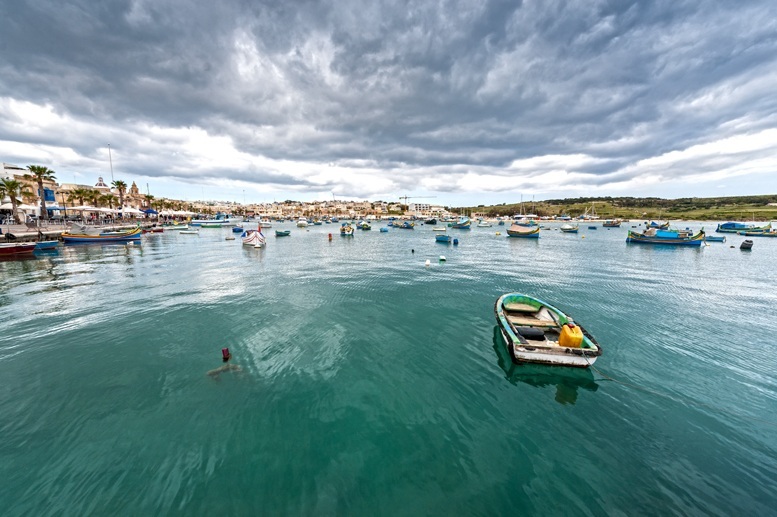 Marsaxlokk – a seaside town famous for its harbour filled with colourful luzzu, and for its many seafood restaurants. Take bus 81 and 85 from Valletta. 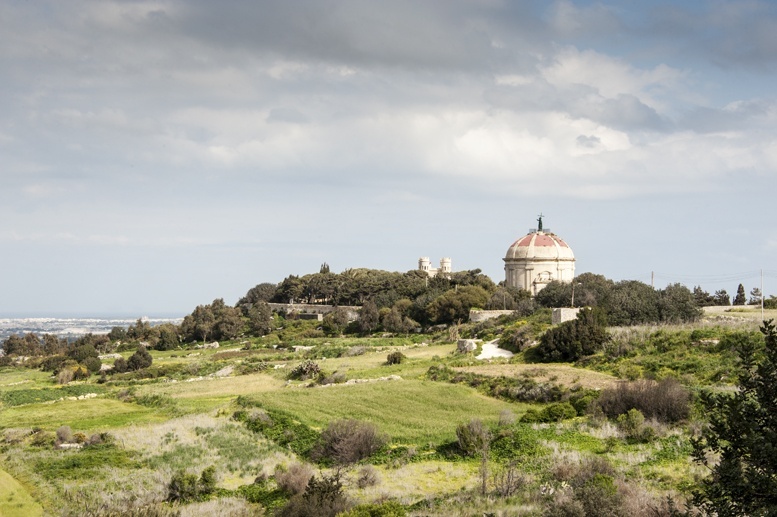 Tarxien – one of the best examples of prehistoric temples on the island. Take bus 81 and 85 from Valletta. 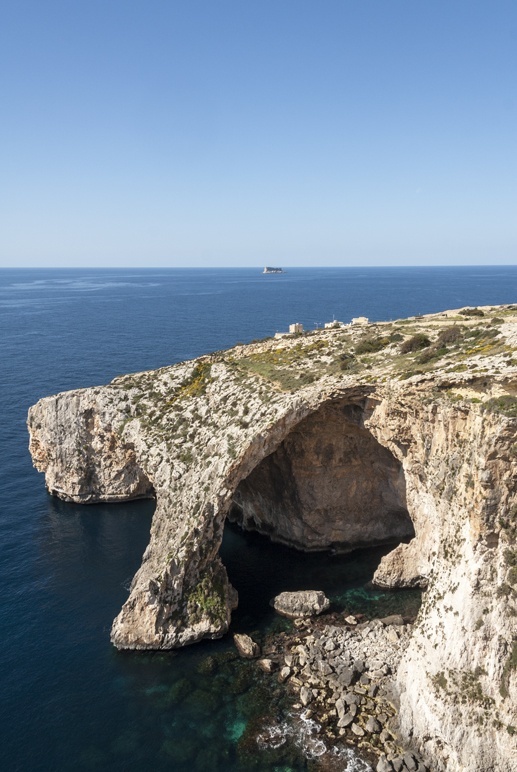 Blue Grotto – a natural rock arch surrounded by dozens of sea caves. Take bus 71 from Valletta. And what about Gozo by public transport? Gozo can be reached by ferry from Cirkewwa, on the northern end of Malta. 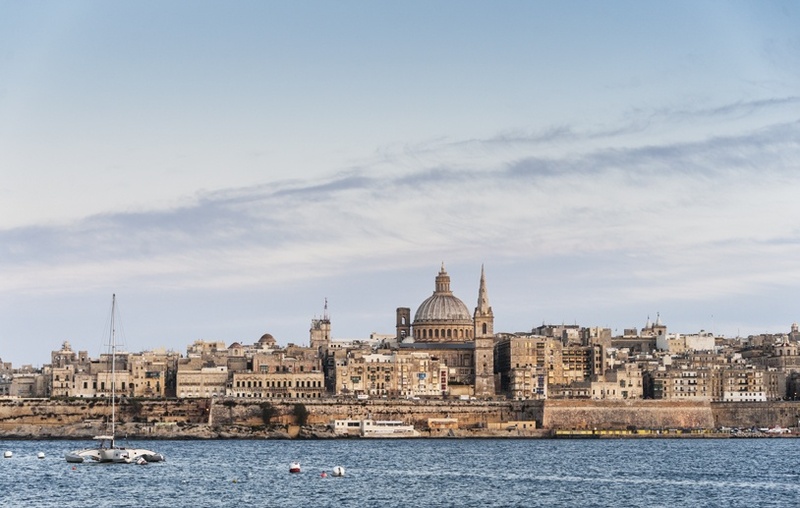 Take buses number 41 and 42 from Valletta to the ferry terminal, or X1 if you’re coming straight from the airport. It will take over an hour so plan accordingly. Ferries depart every 45 mins and take about 20 minutes to cross. The return ticket costs €4.65. You only pay when you return from Gozo. Gozo is Malta’s (if not Europe’s) adventure heart – here’s our post about the adventure-filled day we spent on the island! What about a Malta Tour? Check out Special Offers Here! Wow, looks like a lovely little country, and sounds quite affordable. There seems to be plenty to see and do, but I am not a fan of crowds, so I wonder where all the people are. Nice captures on the photos. 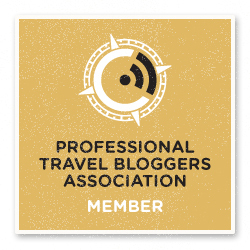 I’m going to Malta in October so this comes in very useful, I’m bookmarking it! Thanks! Thanks Kami! <3 Malta, and hope you do too! I'm sure you'll find more street art! So much beauty everywhere! I particularly love the view from the rooftop at Palazzo Prince d’Orange.